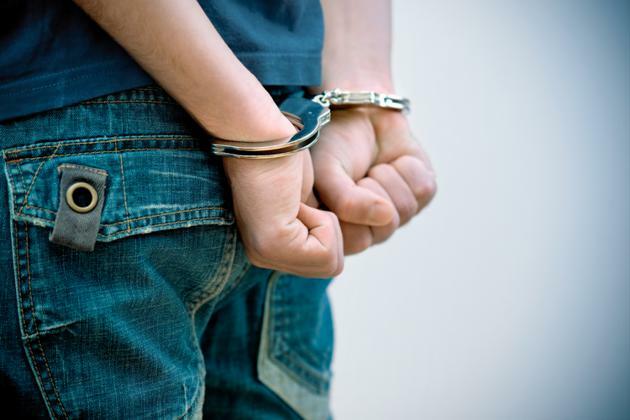 2 Million Kids Are Arrested in the U.S. Every Year. Congress Is Trying to Change That. That's the average, and 95 percent of the children never even committed a violent crime. When Justin Bodner was 12 years old he had a problem with swearing. Big time. His mother had tried to curb the habit, but as Bodner was walking his brother to school one day he ended up in a screaming match (which can't be transcribed here) with another child's mother. The argument didn't land him in the principal's office or a time-out. Instead, it landed him in prison. Bodner ended up spending nine years in juvenile detention centers where he smoked marijuana and tried heroin for the first time. His cellmates even taught him how to steal a car. And Bodner missed his entire middle-school and high school career. Hillary Transue was luckier. When she was 14, Hillary created a fake MySpace page mocking her assistant principal and, to her surprise, was arrested and sent a juvenile prison. Thanks to quick thinking by her mother, Hillary's case was referred to the Juvenile Law Center, sparking a broad investigation that took down two Luzerne County, Pa., judges and lead to Hillary's release just three weeks after she was arrested. Both children were convicted of so-called "status offenses," crimes that would not be punishable under the law if committed by adults. Status offenses run the gamut from drinking alcohol to truancy to running away from home to "incorrigible behavior," according to the American Bar Association. As evidenced in the cases of Bodner and Transue, the definition is often broadened by judges. These small-time offenses can land children in jail for years, putting them in contact with violent offenders and keeping them out of schools. 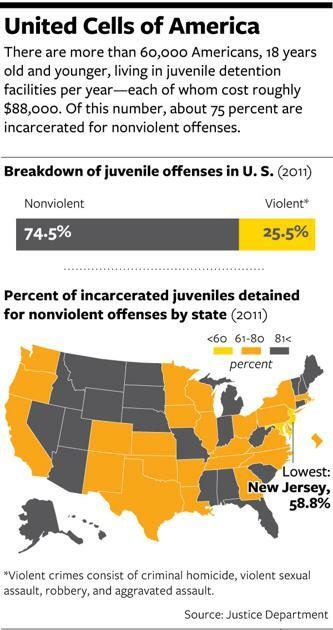 Sixty-six percent of youths who are detained in juvenile prisons never return to school. And Congress is beginning to act to change that. Bodner and Transue are featured in Kids for Ca$h, a documentary based on the Pennsylvania scandal with the same moniker (which you can read more about here) that's making its way around the U.S. Capitol and the Justice Department. Sen. Robert Casey, D-Pa., said that he was touched by the message the first time he saw it, and reached out to the director to get a copy to show his colleagues. He has screened the film several times on the Hill, including during a Senate Democratic conference luncheon. "These children in this film were robbed of justice. "¦ Those children were robbed of so much "¦ and they were robbed by their own government," Casey said at a public screening of the documentary he organized with Rep. Tony Cardenas, D-Calif., earlier this month. That is unacceptable to Casey and Cardenas, who argue that there are better solutions for status offenders. "Too many of our children are being locked up for reasons that are better addressed by either counseling [or community involvement]," Cardenas said. Cardenas and Casey are introducing legislation in their respective chambers preventing juveniles from being detained for status offenses and, additionally, to keep them out of prisons meant for adults or keep them from having any interaction with adult inmates. "So that more children are not robbed of their rights, robbed of their future and robbed of their pursuit of happiness," Casey said of the bills. Cardenas said that he is focused not only on pushing a moral argument, but also pursuing a fiscal argument in order to get more Republicans on board. He argues that not only does rehabilitation cost less than incarceration, it also results in fewer repeat offenders. "The cost differential is incredible. For example, the average in the country to incarcerate a child "¦ in the juvenile facilities is $88,000 a year, that's the average. But the average prevention program that they could be remanded might cost as little as $2,500 a year and at the most expensive, it's about $20,000," Cardenas said. "The real kicker is, when we rehabilitate kids, what happens is you end up having seven out of 10 don't recidivate. In other words, they don't commit another crime, they don't create victims, they're not in front of a judge — seven out of 10. But when we just incarcerate ... seven out of 10 times you are going to have a kid who's going to be back in front of a judge and eventually back in jail." So far, Cardenas has the support of two Republicans, who recently joined with him to form the House Juvenile Justice Caucus. Cardenas sits on the caucus with Reps. Bobby Scott, D-Va., a longtime juvenile-justice advocate; David Reichert, R-Wash., a former sheriff; and Ted Poe, R-Texas, a former judge. Cardenas acknowledges that four members hardly represent a rising movement, but he's hopeful that they'll be able to build a coalition, however slowly. All sides involved agree that the process is going to take time and the chances of getting something done in a midterm election year are slim at best. But Cardenas and Casey are laying the foundation for what they hope will be a rallying issue in future Congresses. "I would love to do it right away, but the reality is that we are a bit stagnant here and we're not moving too many issues through our House. "¦ So I see it as something that's unfortunately slower than I would like it to be, but I'm patient," Cardenas said.